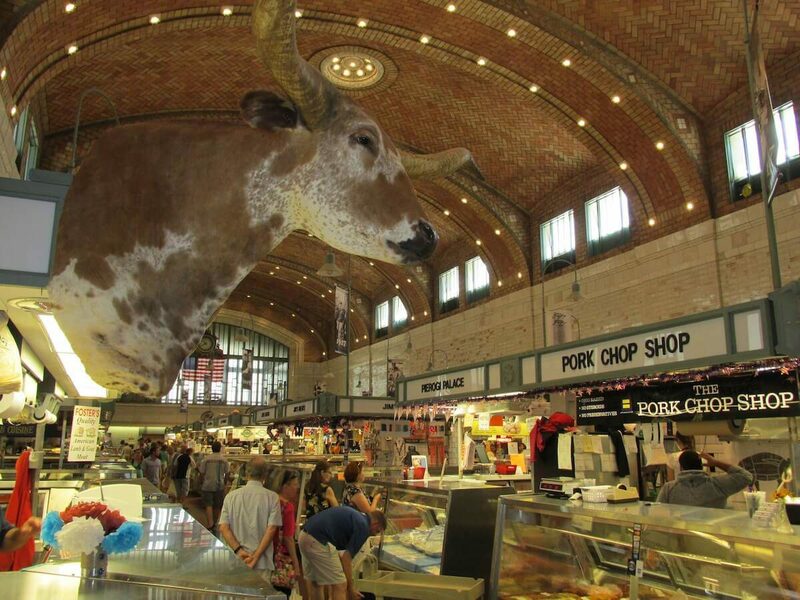 CLEVELAND, Ohio — One of the first things visitors notice about Cleveland’s West Side Market is its size. Standing nearly 250 feet long, with a 44-foot high oval ceiling, this century-old monument to fresh foods is eye-catching. The main facility opened in November of 1912, and features something known architecturally as a “Guastavino-tile” vaulted ceiling. And towering above everything is a massive, 137-foot-tall clock tower, designed and manufactured by the Seth Thomas Clock Co.
For more than 100 years, this structure has served as a destination for Cleveland-area shoppers. But history aside, the market faces some major decisions if it is to survive another 100 years. Today, the market attracts about 1.2 million people a year. And, as the restaurants and businesses around it continue to grow, parking is becoming an issue. Some proposals have been made to charge for parking, which would help free up more space and potentially help with the creation of new parking lots. But vendors like Vince Bertonaschi, of Vince’s Meats, fears that paid parking will take away customers. But parking is not the only problem. Because the building is so old, it needs some structural improvements, including heat during winter, and refrigeration and cooling upgrades for the foods. The building is owned by the City of Cleveland, and the vendors pay lease agreements to the city for their vending space. The city and the vendors have strong views about how to preserve the market — and some strong disagreements. Councilman Joe Cimperman, whose ward includes the market, said the market needs to come of age. “There’s a lot of things that the West Side Market is doing right that we don’t want to mess with,” he said. But at the same time, Cimperman said technology is changing at the farm level, and should also be changing at the retail level to keep up with consumers’ behaviors. He’d like to extend the hours, to include evening shifts, and an option for vendors to be open on Sundays. He’s also considering ways that the market could offer wine and beer tasting — products that are popular among millennial shoppers. And he’s pushing an option for online ordering, where customers could order their product online and pick it up at the market. “I just want to make sure that we cultivate our next two or three generations,” he said. The vendors are also concerned about the next generation — many of them coming from generations of food sales. However, many of the vendors disagree with the city over the best path forward. Michael Turczyk, of Turczyk’s Meats, said adding more days and hours could cause the rest of the week to run slower. He’s also concerned that he and other vendors won’t have as much time to spend with their families. 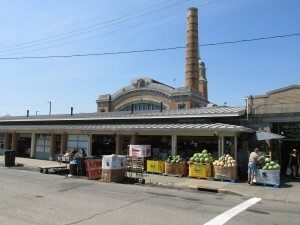 On days that the market is closed, Turczyk and Bertonaschi are still working, preparing meat for the rest of the week. Turczyk is also concerned about allowing alcohol in the market. It’s unclear where the market stands with some of the improvements. The city appointed Felicia Hall as new market manager mid-August, but Farm and Dairy, and mainstream Cleveland-area media, have been unable to reach her for comment.